While writing my Workflows article and getting links to my workflows, I noticed Ole Zorn added a nice Workflows Directory to the Editorial Website . The Directory has workflows shared by Editorial users and a “Staff Picks” section to showcase the best workflows on the directory. I made a workflow to search the directory that you can get here. You can also found all of my workflows here and great workflows by Federico Viticci here. The book is just 2.99$ on the iBooks Store for a limited time launch sale and it's amazing so go and grab your copy now. Apple sent the invites to the event on Tuesday. 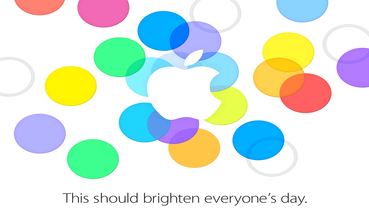 The event will probably introduce iOS 7 and colorful "iPhone 5C". "It uses the App.net API, but not the timeline. It takes pictures, but isn’t really a photo app. It integrates with Ohai, but isn’t another location check-in app. It renders beautiful maps throughout, but isn’t about navigation. Some of the features I’m most proud of in the app wouldn’t be the same without App.net. " I liked his article and his app idea and I suggest you check it out.